Wessex Training and Assessment has access to funding from a variety of funding bodies including the Dorset Nexus, Early Years and Childcare (Dorset County Council), Apprenticeships (swatpro) and Advanced Learner Loans. Wessex Training and Assessment also have individuals and employers which self-fund training and qualifications. Dorset Nexus – Early Years and Childcare Training and Qualifications website page, provides further information about funding availability and eligibility. Please click the Dorset Nexus Icon at the bottom of this page to access this information. Alternatively, you can contact our Head Office and we will be happy to discuss this funding option with you. Apprenticeship funding is available for those aged 16+. This is Government funding which is accessed through swatpro (South West Association of Training Providers Ltd) and then administered in our own area. Wessex Training and Assessment work in partnership with swatpro to be able to offer apprenticeships to learners. The swatpro and Government websites provide further information for learners and employers about apprenticeships. If you are considering an apprenticeship or are an employer thinking of taking on an apprentice and require further information, please click the swatpro icon at the bottom of this page to access this information. Alternatively, you can contact our Head Office and we will be happy to discuss this funding option with you. 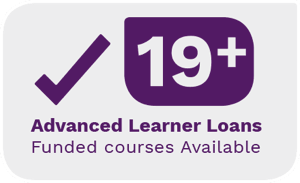 Wessex Training and Assessment have access to Advanced Learner Loan Funding. This is available for individuals aged 19+ and more information can be found on the Governments website page. Here you will be able to find out all you need to know to decide if this type of funding is suitable for you. It will give you an overview of the funding and information on what you’ll get, eligibility, how to apply and repayments. Please click the Advanced Learner Loan Icon at the bottom of this page to access this information. Alternatively, you can contact our Head Office and we will be happy to discuss this funding option with you.